Another dark cloud of shortage has gathered over the U.S. health and care sector. This is perhaps due to the increasing number of senior citizens and a consequent spike in retirement figures, coupled with stricter qualification requirements for some healthcare professions. As the US population ages, an increasing number of healthcare professionals are needed to take up jobs in hospitals, home care, healthcare facilities, and other places. Yet, there’s a short supply of qualified workers to fill those jobs. Statistics from the American Hospital Association show that more than 80% of hospitals are seriously in need of more healthcare staff, especially in nursing, pharmacy, dentistry, laboratory technology, radiology technology, and maintenance staff. For example, according to the American Dental Association (ADA), the dentist-to-population ratio in the country is 60.8 to 100,000; although the number of practising dentists per capita is expected to grow steadily. Also, there are presently 120,000 vacant positions for registered nurses throughout the country, which have seen emergency wards being shut down, an increasing delay in surgeries, and an a rise in the number of patients lacking adequate care. Nursing is currently the largest profession in the US health sector. The recruitment of registered nurses has been estimated to grow by 16% from 2014 to 2024 according to the Bureau of Labor Statistics. Employment of nurse anesthetists and nurse midwives are expected to grow by 31%. The American Nurses Association, ANA has predicted that more than 1 million nurses may be needed by the U.S. by 2022 to cover for retiring nurses and provide care to the aged generation. The number of patients getting access to healthcare is outpacing the number of nurse influx in the sector. Currently, there are roughly 1 million nurses above the age of 50 and in the next 10-15 years, one-third of the present workforce will have hit retirement. By 2024, the number of nurses evaluated to retire will be 700,000. Though health care cost has been estimated to grow in the coming years, it does not reduce the number of people in need of it. For instance, over the 10 years, the senior population in Maines is expected to grow by 37%. What all of these imply is that more healthcare professionals are leaving the sector than the number required to replace them, and with the increase in demand for health services, the result of the combination of both circumstances will certainly not be good. The shortage crisis is becoming a propellant for a looming exodus. Most healthcare staff are getting frustrated with the pile up of work and the lack of extra hands, which could see them leave their jobs for hospitals with stronger staff structure. Some hospitals are suffering from this in the sense that bigger hospitals are poaching nurses with hefty sign-on bonuses and more tempting incentives. On the surface, it’s good news that the number of vital healthcare staff that graduated and joined the labour force has more than doubled in recent years. However, with the current developments, that number isn’t exactly sizing up. For instance, travel nurses tend to be used by hospitals to fill the gap created by the absence of resident nurses, expansion of hospital wards, a large influx of patients or in cases of strikes and union boycotts. They are qualified nurses that prefer the free and flexible work life. While some merely enjoy the prospect of broadening their experiences by working in several facilities, others give in to the pinches of wanderlust. Some travel nurses are those that have retired from traditional nursing and wish to still be in the profession, while others just get sick of hospital politics. A regular travel nurse is employed by a staffing agency or a similar health care provider and normally commits to a 13 week contract, a duration which can be lessened, stretched or renewed at the demand of the institution engaging their services. Generally, recruiting nomadic healthcare professionals removes the obligation to pay for staff entitlements such as pension, allowances, paid time off and the likes. More so, specialized healthcare roles could be filled from the ambulatory workforce. Some positions over time have been branded hard-to-fill or difficult-to-fill, and nomadic healthcare staff are the answer to the issue. These specialists help to stop the coverage gap when turnover of patients are high in special-need departments. 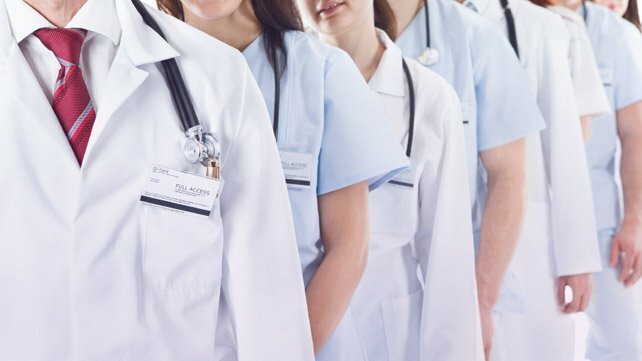 Whenever a job duration has been completed, the nomadic healthcare professional naturally looks for job in another institution, and the cycle continues. In the near future, with the current situation hovering around, the trend is expecting an impending boom. And it could mean other things: The rise for their demand could also see an increment in payment and extra demands for bonuses and work flexibility. But not just for the itinerant healthcare staff. The regular professionals could also enjoy a decent pay rise. If their hospitals are unwilling to do so, they have the option to jump ship and embrace other opportunities. While the debate goes on among policy makers regarding long-term solutions, the gap in the availability of nomadic key healthcare staff is widening. Hospitals have no better alternatives than to recruit readily available qualified workers, even if they are the travelling ones. The need to reduce healthcare staff-to-patient ratio has been there for a long time and this need might send more key specialists on the road.